Spray a loaf pan with cooking spray and then toss in the cornmeal. Shake the pan around so that the cornmeal sticks to all the sides of the pan then knock out any remaining cornmeal into the sink. Combine the flour, sugar, salt, baking soda, and instant yeast with a whisk in the mixing bowl of a stand mixer fitted with a dough hook. Measure out the milk, water, and oil and combine in a microwave safe bowl (or just use the glass measuring cup like I did) and place in the microwave. Heat at high for 30 seconds, stir the liquid and then put it back in for another 45 seconds. Stir again and take the temperature with the candy thermometer. You want it between 120 and 130 degrees. I needed to microwave one more time for 30 seconds to get the right temperature (so 30 seconds, 45 seconds and 30 seconds). Your timing might be slightly different, just remember to stir the mixture before you put in the thermometer. 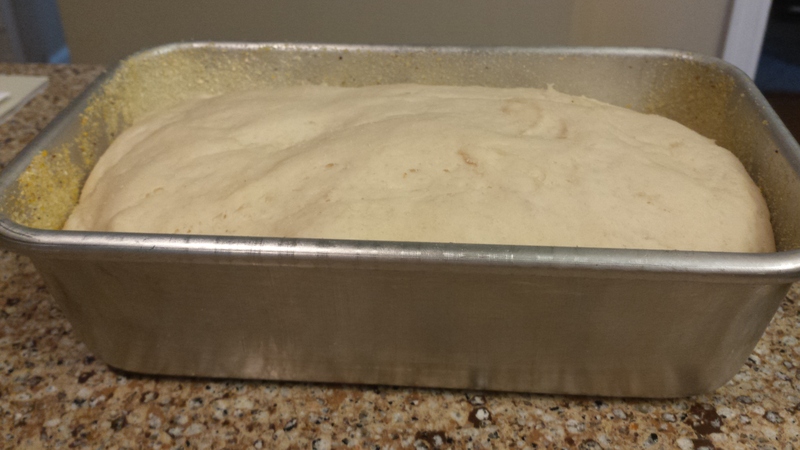 The original recipe says you can go off of touch but when it comes to yeast I think its best to be accurate. Pour the liquids over the dry ingredients in the mixing bowl and then mix with the dough hook at a high speed for approximately 1 minute. If you don’t have a stand mixer you could probably do this by hand by kneading it but man I have no idea how long that would take. I suggest cozying up to a friend with a stand mixer and barter some of the english muffin toast for use of the mixer. The dough will come together pretty quickly and be soft and a little sticky. 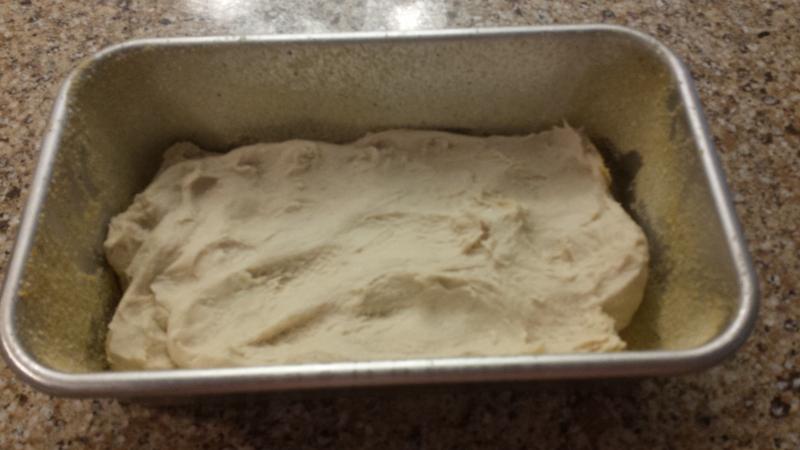 Dump the dough into the prepared loaf pan and press it in until its level if you need to. Cover the pan with a clean kitchen towel and let it rise for about 45 minutes to an hour (took me an hour). When its done it should just peek out over the rim of the pan. During this hour preheat the oven to 400 degrees and then when ready bake for 22 to 25 minutes until golden. Remove from the oven and let cool. The bread is great toasted but not so much warm from the oven so let it cool completely and then serve with butter and jam. 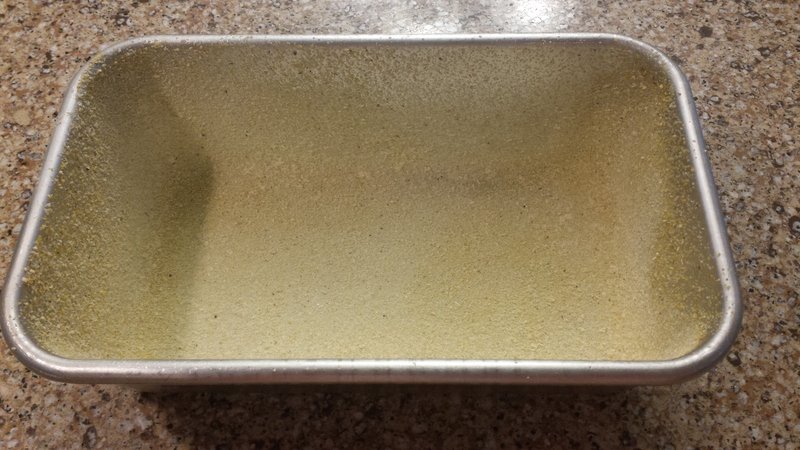 Spray a loaf pan with cooking spray and then toss in the cornmeal. Shake the pan around so that the cornmeal sticks to all the sides of the pan then knock out any remaining cornmeal into the sink. Combine the flour, sugar, salt, baking soda, and instant yeast with a whisk in the mixing bowl of a stand mixer fitted with a dough hook. Measure out the milk, water, and oil and combine in a microwave safe bowl (or just use the glass measuring cup like I did) and place in the microwave. Heat at high for 30 seconds, stir the liquid and then put it back in for another 45 seconds. Stir again and take the temperature with the candy thermometer. You want it between 120 and 130 degrees. I needed to microwave one more time for 30 seconds to get the right temperature (so 30 seconds, 45 seconds and 30 seconds). Your timing might be slightly different, just remember to stir the mixture before you put in the thermometer. 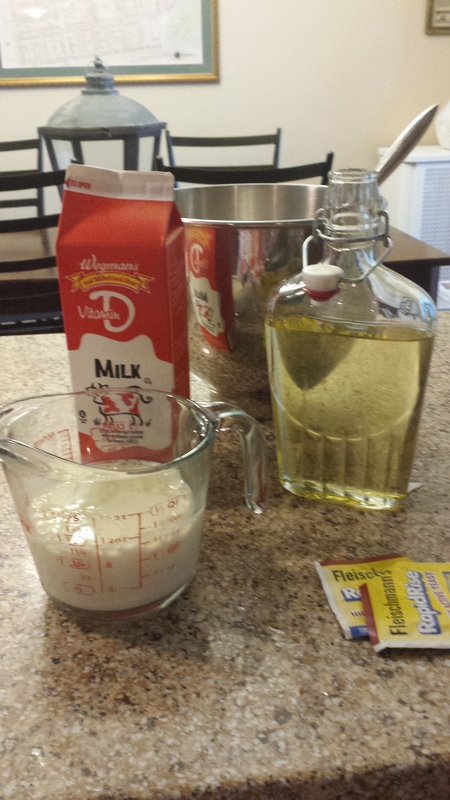 The original recipe says you can go off of touch but when it comes to yeast I think its best to be accurate. Pour the liquids over the dry ingredients in the mixing bowl and then mix with the dough hook at a high speed for approximately 1 minute. 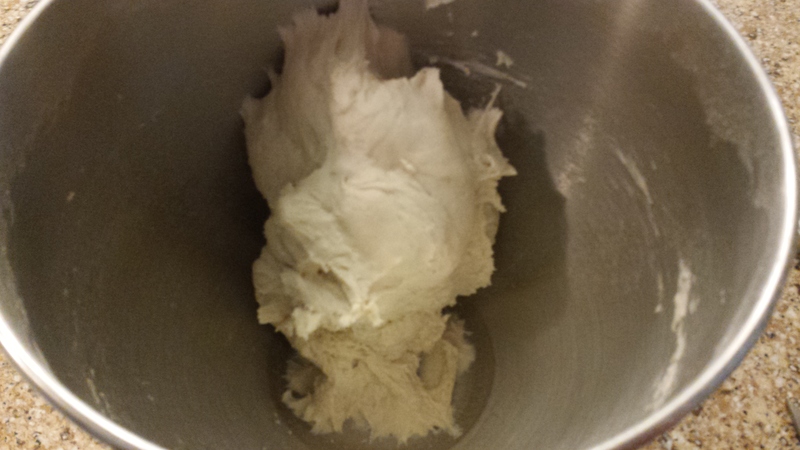 The dough will come together pretty quickly and be soft and a little sticky. Dump the dough into the prepared loaf pan and level it off if you need to. Cover the pan with a clean kitchen towel and let it raise for about 45 minutes to an hour (took me an hour). When its done it should just peek out over the rim of the pan. During this hour preheat the oven to 400 degrees and then bake for 22 to 25 minutes until golden. remove from oven and let cool. The bread is great toasted but not so much warm from the oven so let it cool completely and then serve with butter and jam.